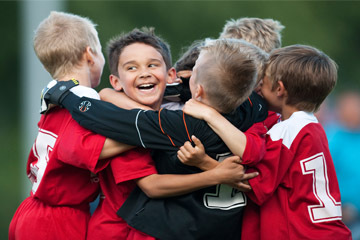 Helsinki Cup is a soccer tournament for children and youth organized every July in Helsinki, the beautiful capital city of Finland. 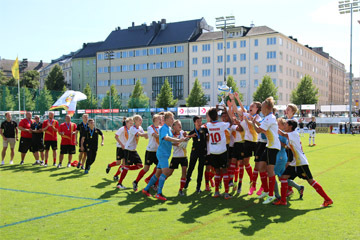 The first Helsinki Cup was organized in 1976 and with roots dating back over the last 40 years or so, the tournament has established its place as a significant part of summer in Helsinki. The city comes alive during the tournament, which is held during the Finnish holiday season. 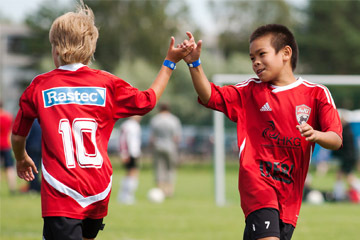 Helsinki Cup is an international tournament with over 15 different nationalities participating each year. It is also a large tournament with over 1200 teams and 20 000 participants each year. There are around 100 high quality natural and artificial grass fields being used during the tournament week all around Helsinki. 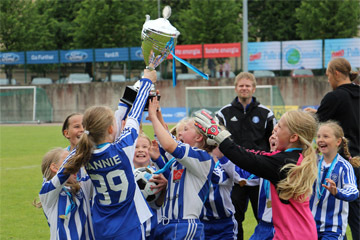 Along the years Helsinki Cup has also been a part of childhood for many national and international stars. In 2016 Helsinki Cup was also voted as one of the best sport events in Finland – including all international and professional sports events in Finland! Great soccer, a one-of-a-kind tournament atmosphere, excellent food and quality accommodations. These are just a few of the things that Helsinki Cup is known for across the globe. What really separates Helsinki Cup from other large tournaments is that they really do care: every international team will receive a personal guide who will help you out during the tournament week. You will be escorted to the playing fields, tournament restaurant, Love the Ball Centre, and other tournament venues when necessary! Helsinki Cup Finland is a tournament for everyone. Both boys and girls are warmly welcome to the tournament – not to forget the families and supporters too! The competition has age groups for almost everyone, ranging from 7-year-olds all the way up to 17-year-olds and there are multiple different skill levels available in most of the groups. Airport Transfers – extra cost for charter bus from us but free with public. Own charter better of course. Cup – medals – diplomas. See attached brochure. Age Groups: looks good but we also have some additional ones. Please see brochure: categories and dates for girls etc.